# Advances to National Championships as Midwest Region representative. 15U Girls Pacesetter Villa Red, 14U Boys Nationals Union 04 Black and 17U Boys SLSG Elite 01 to represent National League. * Advances to Nationals Championships as South Region representative to replace the 19U Girls East Region team. # Advances to National Championships as Region I representative. 19/20U Boys Penn Fusion 98 (PA-E) to represent National League. # Advances to National Championships as Region II representative. 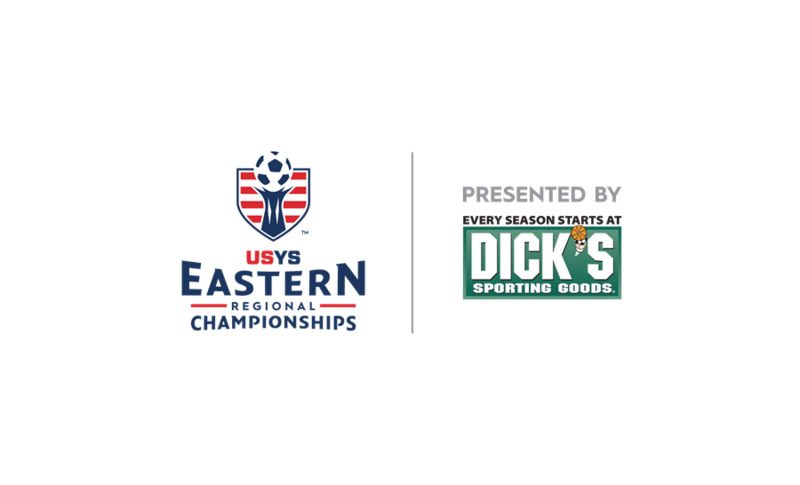 15U Girls Nationals Union 02 Black (MI), 17U Girls Midwest United FC 00 Royal (MI) and 19/20U Boys FC United (IL) to represent National League. # Advances to National Championships as Region III representative. 15U Boys Solar Chelsea (TX-N), 16U Girls Florida Elite (FL), 18U Girls TSC Showcase (TN) and 19/20U Girls 98 CR Academy (NC) to represent National League. # Advances to National Championships as Region IV representative. 15U Girls La Roca to represent the National League. # Advances to National Championships as Region II representative. U-14 Girls PSG MI Gators 02 Orange (MI), U-15 Girls Midwest United FC 01 Royal (MI), U-15 Boys CFA Raiders (IL) and U-16 Girls FCKC Pink Panthers Elite (MO) to represent National League. *Advances as the Region III rep in place of Region III Champion CESA (SC). July 21-26 | Mohawk Soccer Complex | Tulsa, Okla.
July 22-27 | Maryland SoccerPlex | Germantown, Md. #Advance to national championships as Region I Representative. #Advances to national championships as Region IV representative. July 23-28 | Overland Park Sports Complex| Overland Park, Kan.
#Advance to national championships as Region I Representative. OBGC Rangers to represent National League. %Advance to national championship as Region II representative. CUP Crew Jrs to represent National League. # Advance to national championships as Region III representative. Sunrise Elite to represent National League. #Advances to national championships as Region IV representative. Carlsbad Elite will represent National League. July 24-29 | Manchester Meadows| Rock Hill S.C.
#Advances to national championships as Region IV representative. Legends Breakaway will represent National League. July 26-31 | Reach 11 Sports Complex| Phoenix, Ariz.
# - Advances to national championships as Region III representative. Hurricane to represent National League. July 21-26 | Overland Park Soccer Complex | Overland Park Kan.
# - Advances to national championships as Region I representative. Scorpions Elite (MA) to represent US Youth Soccer National League. July 21-26 | Citizens Bank Fields at Progin Park | Lancaster, Mass. July 22-27 | Burns Park Soccer Complex | North Little Rock, Ark. # - Advances to national championships as Region II representative. Eclipse Select to represent US Youth Soccer National League.